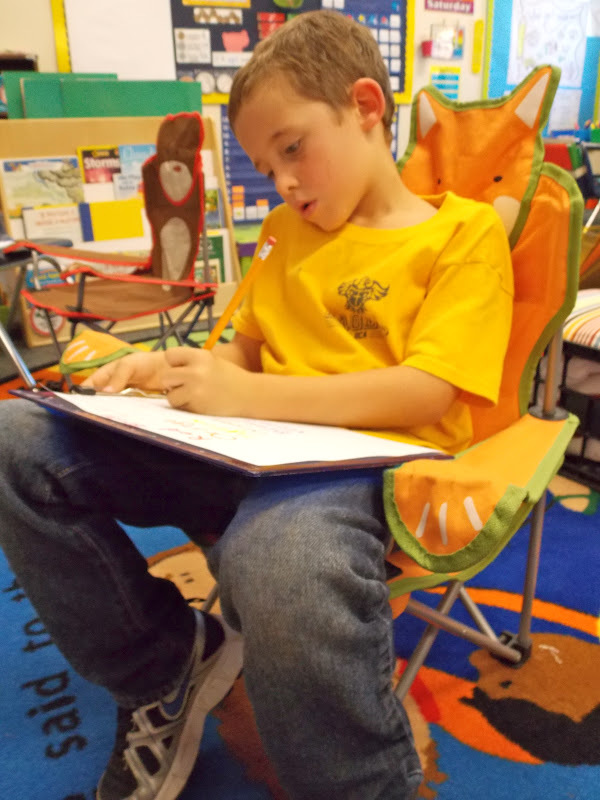 A Day in First Grade | Let’s talk about writing…..
Alright… Let’s talk about writing…. I don’t know about you but I am seeing a rapid decline in fine motor skills in kids. I have been teaching for 9 years now and every year their handwriting skills get worse and worse. When I started my teaching career, kids had a much better grasp on how to hold a pencil, use scissors and manipulate small objects. I’m blaming the “technology.” Maybe you’ll disagree with me. Maybe you won’t like what I have to say but my 6 year olds have more iPad, iPod, and computer skills then they do fine motor skills!! I can’t tell you how many times during the day I hear, “Miss Smith, how do you make the letter e?”, “Miss Smith, this is hard!”, “Miss Smith, my hand hurts!” And trust me, we are not writing for more than 15 minutes!! However, give this same kid and iAnything and they can rock it for a long time. Sometimes it feels as if I’m fighting a losing battle. However, I come with a glimmer of hope. I come from the place where I will not let my students stay in this “it’s too hard to use a pencil” place. The first week of school, we began writing for 2 minutes at a time. And by golly we are starting to have successes. We can now start a sentence with a capital letter. We are trying to use punctuation marks. AND *might I say this is my favorite* we are TRYING to sound out and spell words. We are no where near perfect. We are 5 weeks into school and getting better every day. Last Friday we culminated our weather unit with a full fledge weather day. We read a few more weather books, put the finishing touches on our wind socks, made our dear friend Roy G. Biv, made water cycle crowns, and wrote some rainbow sentences. Red is like a apple. Blue is like the sky. Yellow is like the sun. Green is like the grass. Blue is like the water. First graders hard at work. Okay. So what are we working on? What are the goals and how are we going to get there?! Well, right now, in my class my kiddos need help with a few KEY concepts. They need help with knowing where to write on a piece of paper (look above at the huge spaces to the left of his rainbow words.) They need help with phonics sounds. They need help with copying words. They also need help with spacing. So…. what am I doing to help them? Well, everyday we have journal time. Depending on the day we will either have a prompt or the students will be able to free write. (They also write during Daily 5) I give mini lessons every day on these concepts that we are working on. And by golly, it’s getting easier. Like I said, we are getting better!! We practice sounding out the words that we do not know and write down the sounds that we hear! Along with that, we are learning our phonics dance hunk and chunks! This is helping us write words with the “sh”, “ch” and “oo” and “ow” sounds. As we add more sounds, the students will get to be better and better spellers. It seems like a long road ahead of us but I am encouraged to see how much progress they have made in just 5 short weeks. Considering we started with “smng” I’m rather psyched at our progress. 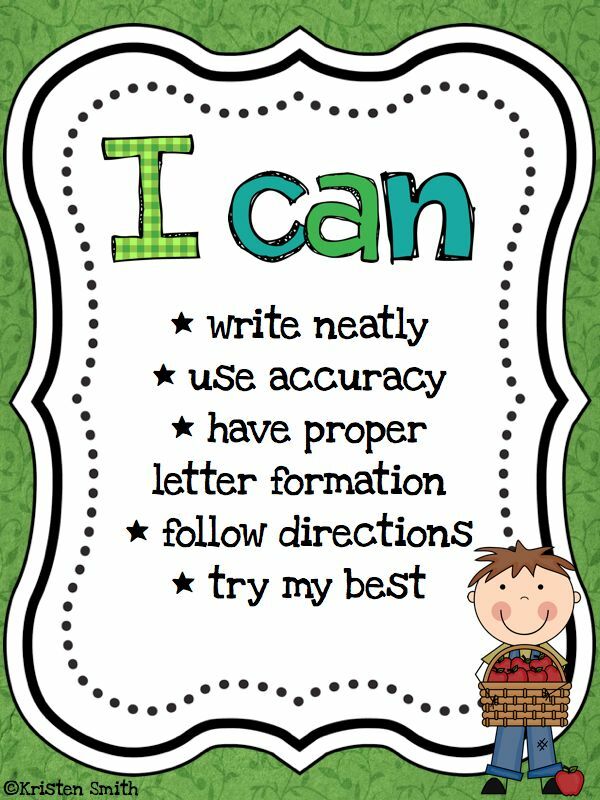 On top of ALL of these things I have been encouraging my students to have 5 star handwriting. Students can get up to 5 stars. 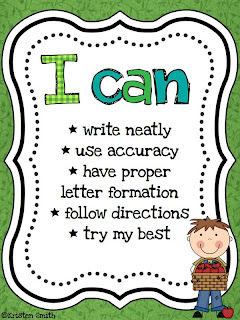 You can get your “I Can” here! So the point of this post?? You can do it. You will get there! Keep on trying, teaching and loving on your little blessings every day and be thankful for the little victories!! This is a huge problem. I’m seeing the same thing. Love your crafts. I’m seeing it, too! Ugh! I love your rainbow poetry…I’m going to have to pin it! My Owlets had to trace and cut out their hands to make a rainbow last week…You’d think I had announced the worst torture practice to date! They did it, but I’ve got to say…YIKES! We will be doing a lot of cutting to build those skills! AGREE!! Sad, but true! I adore your pictures! Thanks for always sharing your cute ideas!